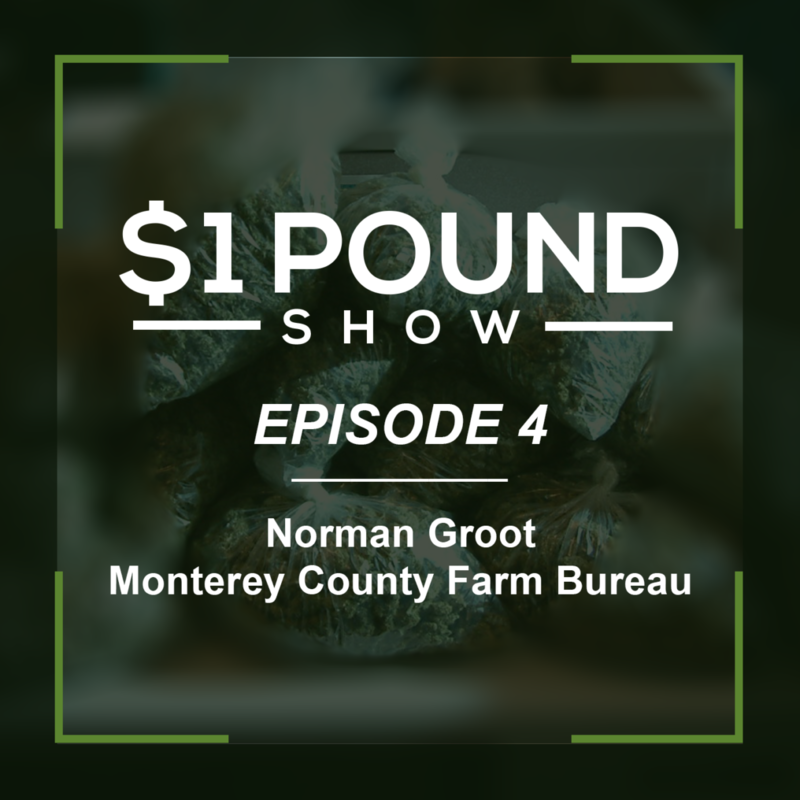 In this episode, Ryan and Joey have a conversation with Norm Groot, the Executive Director for the Monterey County Farm Bureau. The Monterey County Farm Bureau (MCFB) supports the people that work the land. Their organization serves as a collective voice for farmers and ranchers and provides information, benefits, and services to their members. Monterey County Farm Bureau has publicly stated they feel cannabis should be treated as any other agriculture crop. Almost every cannabis advocate is in agreement. Ryan, Joey, and Norm discuss the parallels between normal agriculture and cannabis. And they talk about how cannabis will potentially change our local agricultural scene FOR THE BETTER. This episode came at a perfect time because on the same day we spoke with Norm, the Forbes AG Tech Summit was taking place just one block away from us and the Monterey County AG Commissioner released the crop report for the year, just one day prior.